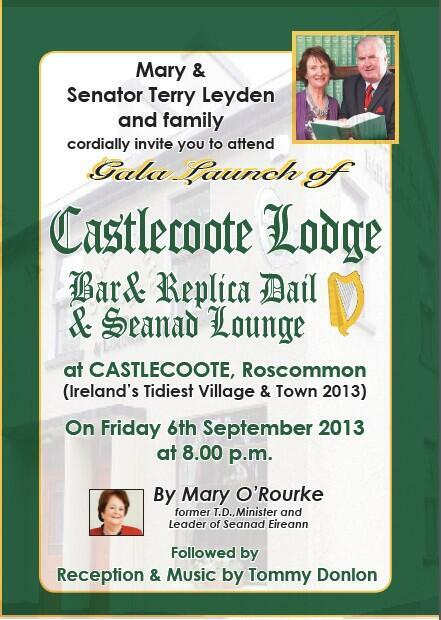 A poster for the launch of Senator Terry Leydens Replica Dail Bar and Seanad Lounge in Castlecoote County Roscommon, which is being held on the 6th of September 2013 with guest speaker Mary O’Rourke. Its a wonder nobody has done it before! From the 1981 General Election a leaflet fro Fianna Fail candidates Sean Doherty and Terry Leyden. • That the best possible Educational. Recreational and Employment Opportunities will he provided for our young people. That the traditional values and standards of our society, which are under threat. will be defended and preserved. Michael Finneran on his first attempt for the Dail in 1992. It was in the new Longford-Roscommon constituency. 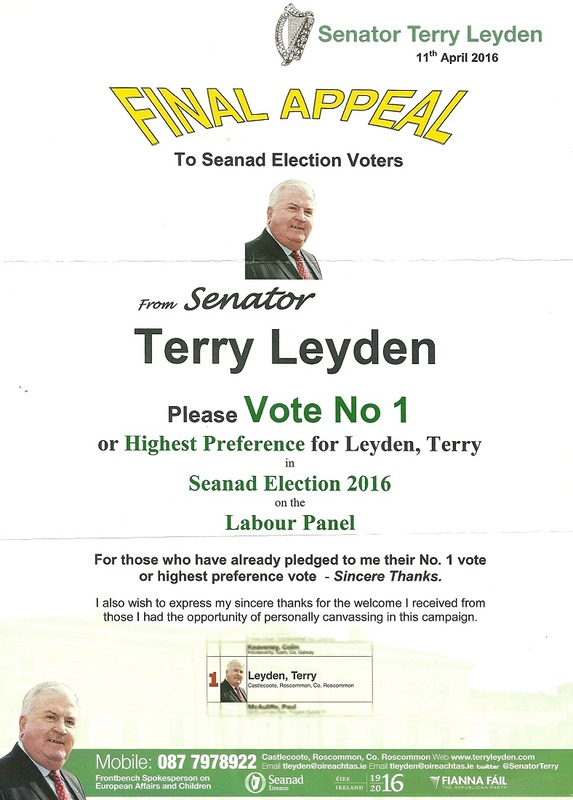 He was part of very strong Fianna Fail ticket with Sean Doherty, Terry Leydon and Albert Reynolds. He finished the fourth of the Fianna Fail ticket.